There are many ways to measure your body fat percentage. Some include to go and get an expensive check by a doctor that can give you almost 100% accurate numbers. But most people don’t need it to be this accurate and can measure body fat percentage from home easy and cheap. You can choose different tools and methods to check your body fat percentage from home. But all have their pros and cons. There is a totally free method and that is basically the mirror. 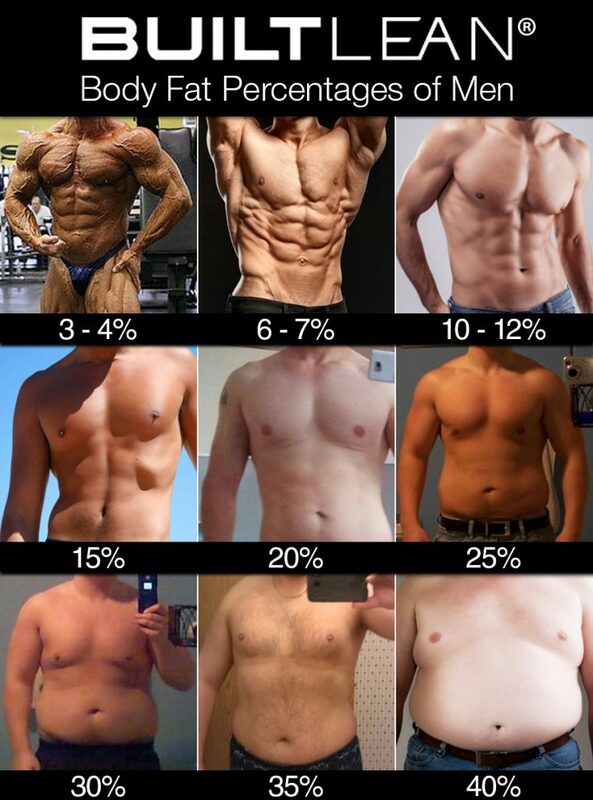 This way you can roughly estimate your fat percentage. What you do is take pictures of yourself every week to record your progress. Either you make the shot or let somebody else make a picture of you. Just keep in mind to have good light and take it at the same spot with the same light, as this can make a difference. Capturing your progress can further motivate you by having your progress not only in numbers but visually. This can be done additionally to other methods of fat measuring you use. A BIA device (Bioelectrical impedance analysis) is measuring your body fat percentage by sending electricity through your body. There are two devices you can choose from. One comes as a weight scale and another to hold in your hands like in the picture below. If you would use the device on the picture above, it would send the electricity from one arm to the other while passing your body. This way it determines your body fat percentage by measuring the resistance and time the electricity needs to travel. The problem is that the hydration of your body plays a role when measuring. You can’t be dehydrated because this would lead to false results. Like measuring after waking up without breakfast. But too much water in a full bladder or poop in your intestines can have influence in the results as well. So you always have to “launch the rockets” before using the device. And there is one more problem as electricity is always looking for the fastest way to travel. This leads to a partly fat check in your body only. Depending where your body is storing your fat, this could lead to inaccurate results as well. For more accuracy you would better need both devices and take the average of both results. A caliper is a simple tool that is using the thickness of your skin to measure your body fat percentage. It needs to be placed at three or more different spots on the body like thigh, abdomen, chest and triceps for example. The average number of the results will indicate the body fat percentage. It is best to have another person to do the measurements for you. It is important that the measurement is done at the same spots as before and in the same way. Therefore, it should be done by the same person because someone else can measure different like with more or less pressure and falsify the results. You can use NOFOLLOW linear-software.com to calculate the result for you. Most important for you is not how much body fat percentage you have but how it is changing. So make sure that the measurement is done in the same way for accurate progress records. The calipers are unusable or inaccurate if your body fat is too high because then you can’t have a good grip with them. Measure your body fat percentage once a week/month to keep track of how it is changing. From the mentioned devices a caliper would be the best choice to measure body fat percentage at home. A BIA device can be used, if you have a too high body fat percentage what can make the calipers unusable. Anything unclear? Leave a comment below. This regular guy was determined to achieve one glorious goal every man is dreaming about. To beat Chuck Norris! But his goals have changed. Thanks for sharing your tips on how to measure body fat at home. Using a camera and mirror seems very tough. It too subjective and not that accurate. You definitely need to go with some sort of device. I actually have a scale at home that measure not only my weight, but also my body fat. I guess the scale is measuring my water content and weight to determine the fat percentage. Cheers. the scale you are talking about is a BIA device, like mentioned in the post. And you are right, using a mirror only will not be enough to measure your fat loss accurately.